We've been working hard in conjunction with Universal Music Catalogue and Island Records on the release of The Man from Mo'Wax (Music From The Motion Picture) which is now available to pre-order! 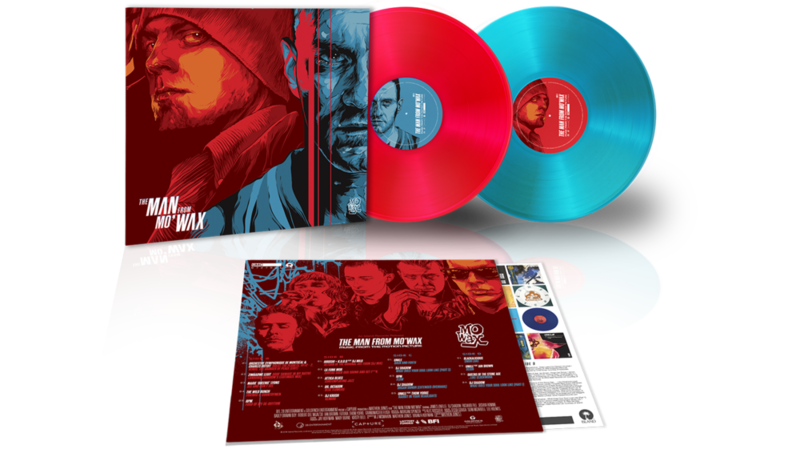 To be released on limited edition blue and red coloured vinyl, CD (including a 16 page booklet containing director's notes and artwork) as well as download and stream, the soundtrack contains music from the film picked by director Matthew Jones. Featuring tracks from DJ Shadow, UNKLE feat. Thom Yorke and Ian Brown, Dr Octagon, Queens of the Stone Age, DJ Krush, The Wild Bunch, Blackalicious and more the release is a real celebration of Mo'Wax, UNKLE and James Lavelle's musical collaborators and influences. You can pre-order your copy now and check out the artwork for both physical releases below!